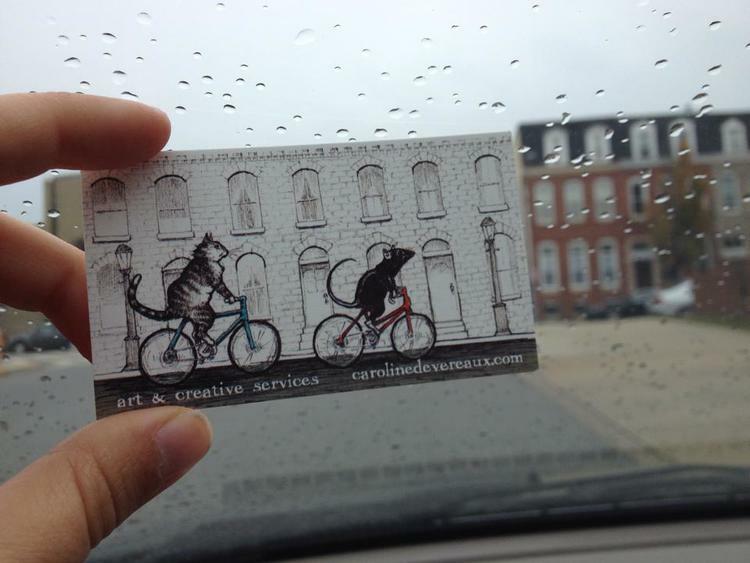 The name of my art business is Cat and Milk Studio! Congratulations, me, on FINALLY making a decision, six months later. Unless you are my dad, you probably have not read all of my blog posts, including the one about brainstorming a business name. Most illustrators go by their own names, however, I've made reservations at restaurants so I know that Devereaux is difficult to spell, remember and pronounce. It's a gauntlet of vowels. Since I will be relying heavily on face-to-face marketing in the next few years, it will be handy for folks to get home and think, "I can't remember her extremely long Frenchy-French name, but I'll just google the business she mentioned: 'cat and milk studio'." In 2006, I lived on Baltimore's (in)famous Avenue in Hampden. Back in my day, we didn't have any farm-to-table restaurants with $30 entrees. We had Angelo's Pizza, home of the largest slice in the world. (Grease-to-solids ratio: ~70/30.) Once, I saw a delivery boy strap a pizza to the roof of his car. A few "vintage" C&M flyers have survived. 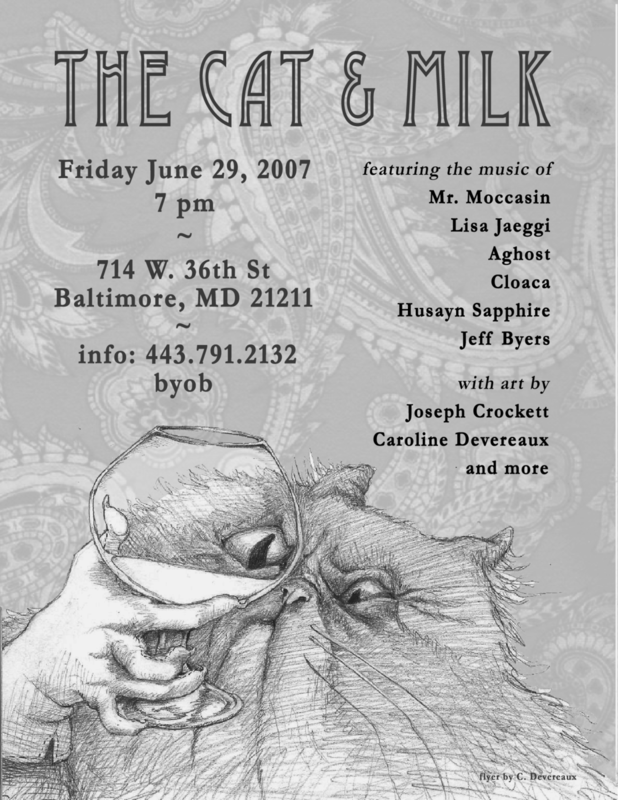 This was all so long ago now that I can't find the City Paper article in which The Cat and Milk was featured. I am reviving the name because it commemorates my entrance into Baltimore's vibrant underground art scene, and my modest contribution to the creative community that shaped and supported my own artistic practice. Bonus: It is easy to spell! I already had some fun business cards printed, so my actual name, Caroline Devereaux, and the new business name will both land you at this website. Two birds, one website. A bird in the website is worth two in the bush. ...I could keep going, but I think this post is done.